Summary: If you want to import WMV to iMovie for editing on Mac OS X(El Capitan), you’ll need to convert WMV file to iMovie compatible video format first. Here is the simple how-to. WMV is a very popular video format developed by Microsoft. It exists in every computer running a Windows operating system and stands today as one of the most used video formats. While the .wmv format is perfect for Windows Movie Maker, for Mac users, it’s a little bit head-scratching to edit WMV files with iMovie because its compatibility with Mac system is not very satisfying. However, you can convert WMV to iMovie compatible video for further editing. Here is the entire progress. Converting a .wmv file is always the best resort to fix the problems you’re having while or after importing it into iMovie for editing. Of the third-party media conversion software around, EaseFab Video Converter for Mac (El Capitan, Yosemite, Mavericks, Mountain Lion, Lion and Snow Leopard included) is among the best and most easy to use. By running it, there’s no need to set the codec by yourself: the Mac program has a optimized preset for iMovie (iMovie ’11 included). What’s more, this converter offers you with 30X faster conversion speed with zero quality loss. See below how to convert WMV to AIC MOV for iMovie. Step 1: After downloading, install and launch the WMV to iMovie Converter for Mac and click “Add Video” button to import your WMV files. Or you can directly drag and drop videos to the item bar. You can add multiple files for conversion at one to save time. Step 2: You can directly choose the “iMovie” as the output format from “Editing Software” which has been supplied by the WMV to iMovie Mac Converter. 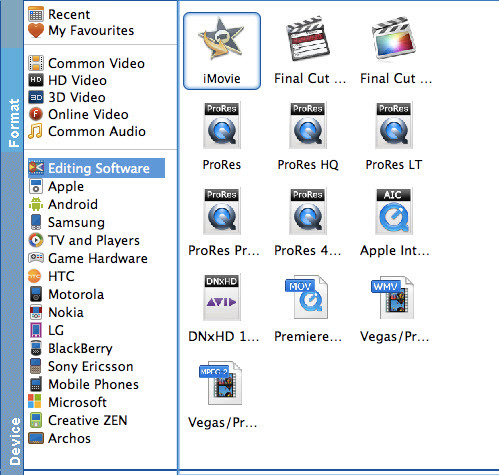 The setting also works for iMovie ’08, iMovie ’09, iMovie ’11, and iMovie HD etc. Step 3: The last step is to click Convert to begin converting your WMV videos to iMovie files. Just in a few minutes, you make it! After the conversion, you can launch iMovie and then import the converted WMV files to iMovie for editing. 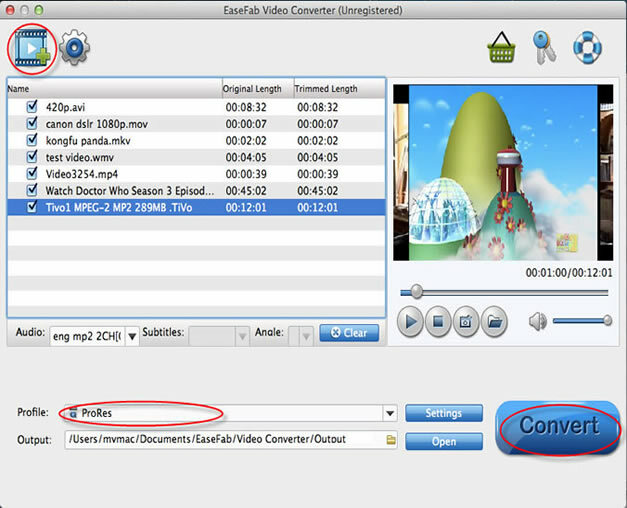 Besides iMovie, EaseFab Video Converter for Mac supports convert any video files including AVCHD, MTS, M2TS, XAVC, XAVC S, MXF, MOV, MP4, WMV, AVI, MKV etc. to various professinal encoders – ProRes and DNxHD, DVCPRO, HDV, MPEG-2 – ensuring maximum editing quality and efficiency when working with Final Cut Pro, Avid Media Composer, Adobe Premiere and more. This entry was posted in iMovie, WMV and tagged Convert WMV to MOV, iMovie, Import WMV to iMovie, Mac, WMV, WMV Converter Mac, WMV to iMovie Converter Free. Bookmark the permalink.